Positive psychology is an exciting new orientation in the field, going beyond psychology’s traditional focus on illness and pathology to look at areas like well–being and fulfillment. While the larger question of optimal human functioning is hardly new–Aristotle addressed it in his treatises on eudaimonia – positive psychology offers a common language on this subject to professionals working in a variety of subdisciplines and practices. Applicable in many settings and relevant for individuals, groups, organizations, communities, and societies, positive psychology is a genuinely integrative approach to professional practice. 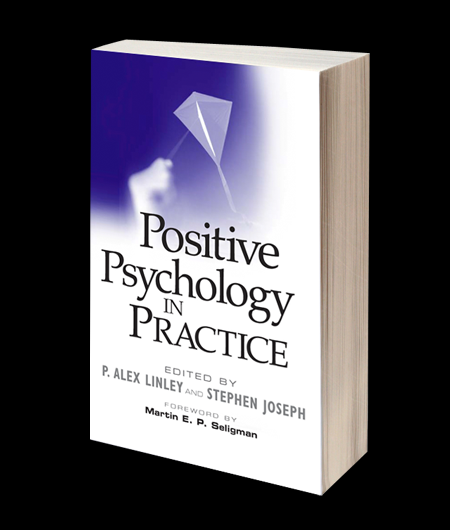 Positive Psychology in Practice fills the need for a broad, comprehensive, and state–of–the–art reference for this burgeoning new perspective. Cutting across traditional lines of thinking in psychology, this resource bridges theory, research, and applications to offer valuable information to a wide range of professionals and students in the social and behavioral sciences. A group of major international contributors covers: The applied positive psychology perspective Historical and philosophical foundations Values and choices in pursuit of the good life Lifestyle practices for health and well–being Methods and processes for teaching and learning Positive psychology at work The best and most thorough treatment of this cutting–edge discipline, Positive Psychology in Practice is an essential resource for understanding this important new theory and applying its principles to all areas of professional practice.